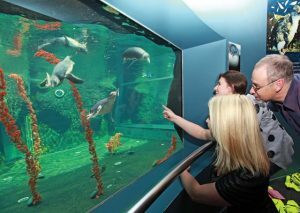 ***Competition now closed***Win an adult pass to the International Antarctic Centre, Christchurch to cool down in the heat of the summer and see what life in the Antarctic is like. COMMENTING with another family activity/place you hope to visit this summer. You can also TAG someone into the Facebook post (not mandatory). Feel free to SHARE this post with anyone else that might want to enter (not manadatory). Like or follow ‘Kids On Board NZ’ and ‘International Antarctic Centre’ on Facebook / Instagram to receive updates on other promotions and events for families this summer (not mandatory). For more information about the International Antarctic Centre please look at the listing here or check out their website here. The pass is valid until 31st October 2017. Passes will be posted as soon as contact is made with the winner. Accompanying children aged 5-15 years will need their own ticket at $29 (although check for cheaper online prices). Children under 5 are free. For Kids On Board’s general competition Terms and Conditions, please look here.